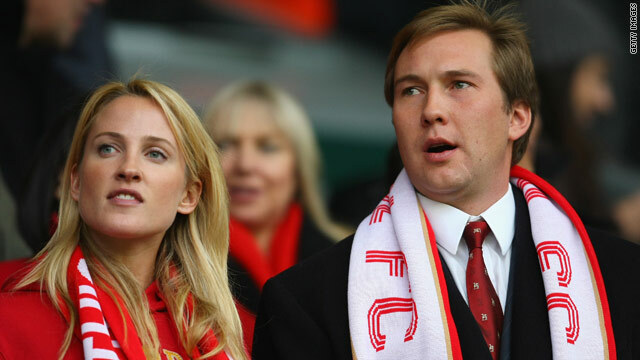 Hicks Jr (right) has resigned from the Liverpool board after responding abusively to a supporter's email. (CNN) -- Liverpool director Tom Hicks Jr has resigned from his position with the club and their parent company Kop Holdings in the wake of a foul-mouthed e-mail rant at a fan. The American, son of co-owner Tom Hicks, became embroiled in controversy when it emerged he had responded abusively when one supporter contacted him directly about the state of the Premier League club and their finances. Hicks Jr subsequently apologized but he has now quit the club. The Spirit of Shankly fans' group, who are committed to the removal of American co-owners Hicks Sr and George Gillett, had called for Hicks Jr to resign. However, with his father as co-owner it appeared there would be little pressure from the top to do so. Hicks Jr was seen as a key player on Anfield's board -- comprised of Hicks and his father, Gillett and his son Foster and managing director Christian Purslow. At the same time Liverpool announced his departure, they revealed a re-structuring of the boardroom of both club and Kop Holdings. Casey Coffman, executive vice-president of Hicks Holdings, is the man brought in to replace Hicks Jr while Liverpool's chief financial officer Philip Nash and the club's commercial director Ian Ayre are have also both been elected to both companies. Purslow, Nash and Ayre have played increasingly important roles in the last few months as they work towards putting the club on a healthier financial footing. That has already led to the signing of a new shirt sponsorship deal with Standard Chartered Bank worth around $120 million. One of Purslow's priorities since taking over from Rick Parry in June last year has been to find new investment in the club as they seek to get the funding in place to build a new stadium. Hicks Jr had no real input into decision-making at the club on a daily basis and so his departure will not affect on-going plans.